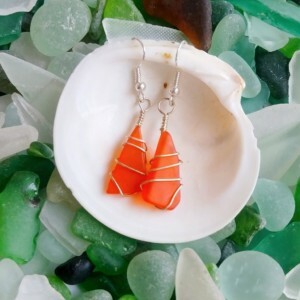 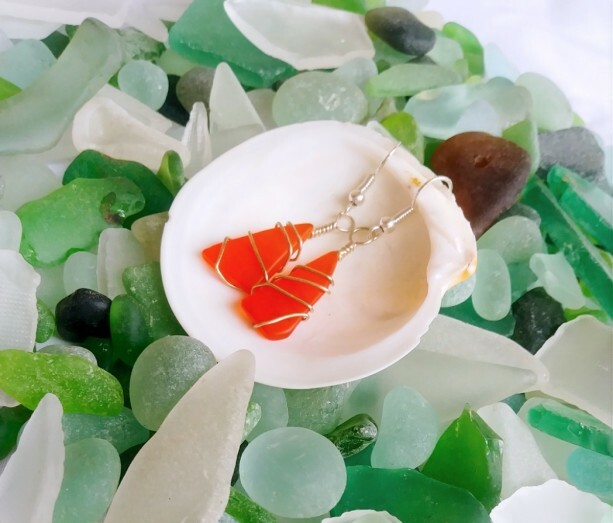 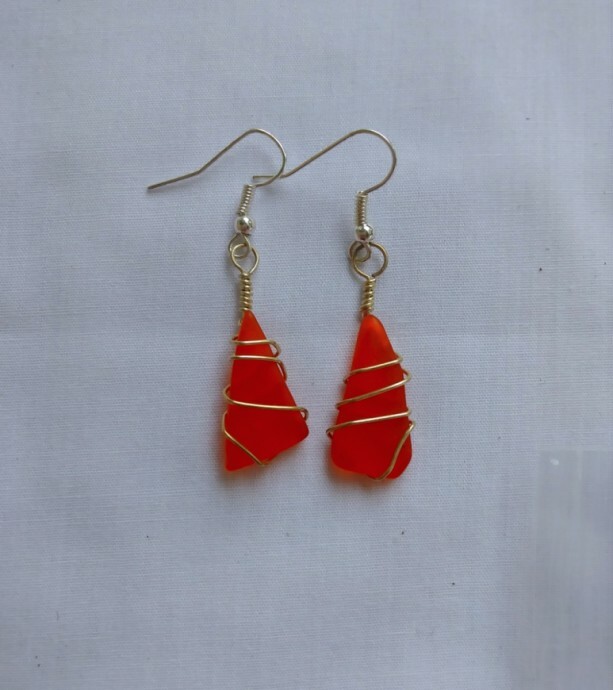 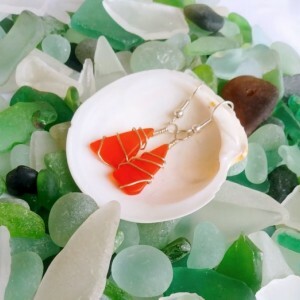 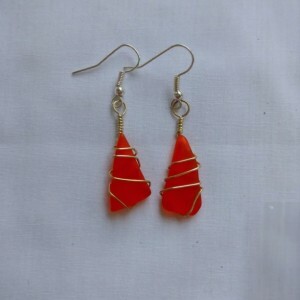 Make a bold statement with these vibrant orange cultured sea glass earrings. 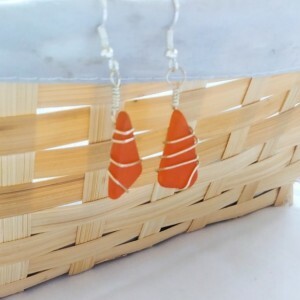 Simple yet striking, these earrings are sure to be noticed. 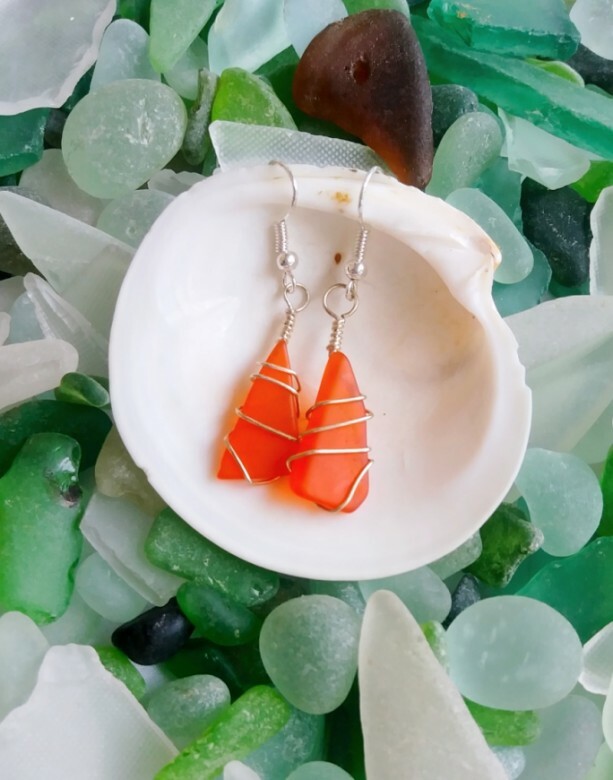 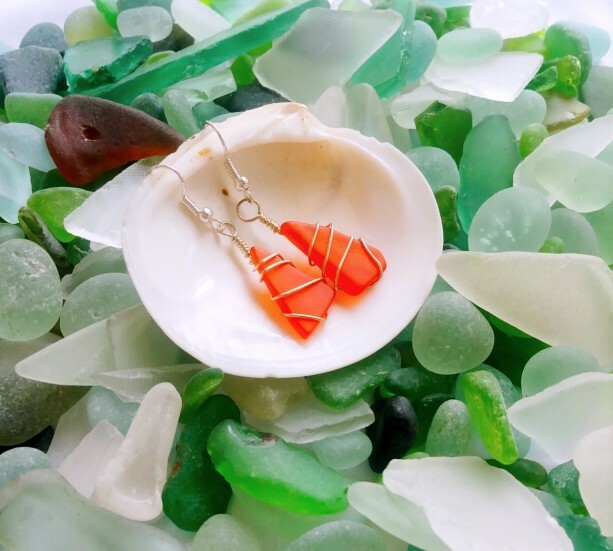 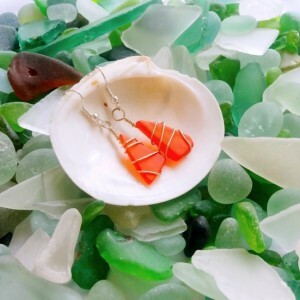 Bright tangerine cultured sea glass is wrapped with shining silver wire to create the perfect accessory for any beach lover or city dweller.